I have been playing around with data available from the iPhone (and also separately visualizing Map data). 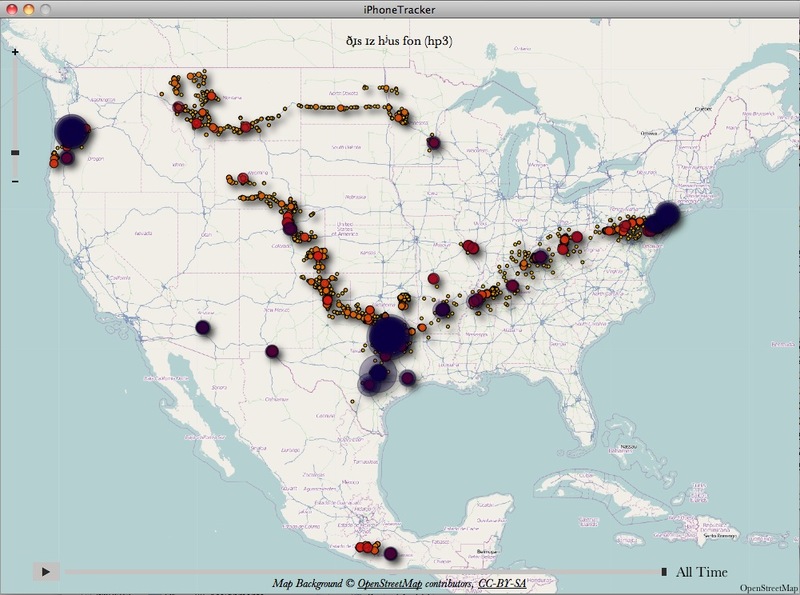 I came across a project, iPhoneTracker which was done to show iPhone users the kind of data that the iPhone collects about a users travel and whereabouts. I downloaded the app and ran it. Looks like about a complete history since I activated the phone… The interesting thing for me was that this app did not collect the data from my phone directly but rather from my computer.